Don’t pass up free water! It’s included with every visit. Not having a Swiss income and faced with a CHF15 price tag for a 1.5 liter bottle of water makes for an awkward moment at the hut counter. Sure it’s flown up in a helicopter and the plastic will have to be flown right back down. But, that doesn’t change the fact that you’re about to shell out a lot of cash for what freely flows in all the creeks you stepped over getting to the hut. I feel a bit bad informing people of how to get around this… hut keepers have a tough job, and they make their money from food and drink sales. But, CHF15 for water is simply outrageous. Let’s justify this tip by saying it helps prevent plastic in the mountains! At most every hut in the Alps, you are going to have water available in the bathroom, a fountain outside, or a nearby creek. In most cases, you will see signs posted, ”Kein Trinkwasser”. That water probably comes directly from the source, and it’s probably just fine. Many take their chances, I know I have. But there are a lot of cows in the Alps. And cows, specifically what comes out of them, scares me. Even if you are higher than where the cows go, there are also a lot of people in the Alps. I choose to filter or treat the water I find at and near huts. You might consider doing the same with one of the many small filters available. We like the MSR Trail Shot Filter because it is one of the smaller, lighter filters out there. Besides saving you cash at the hut, it also saves weight in your pack. Carrying less water and filtering more often is a sound strategy. For water treatment, try the Micropur Tablets from Katadyn. 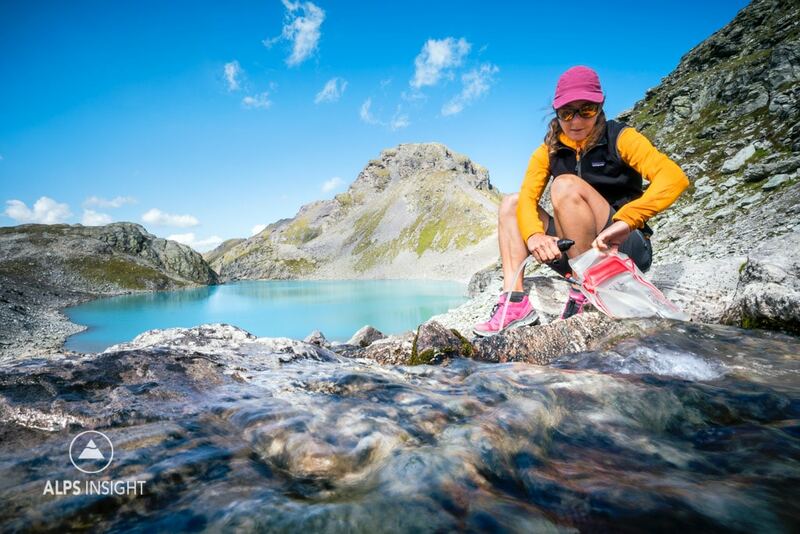 If you are visiting the Swiss Alps, the price of three bottles of water will cover your filter. Or, the price of one bottle of water will treat 30 liters of water with tablets. With all that savings, go ahead and order another round of beer, or that strudel. 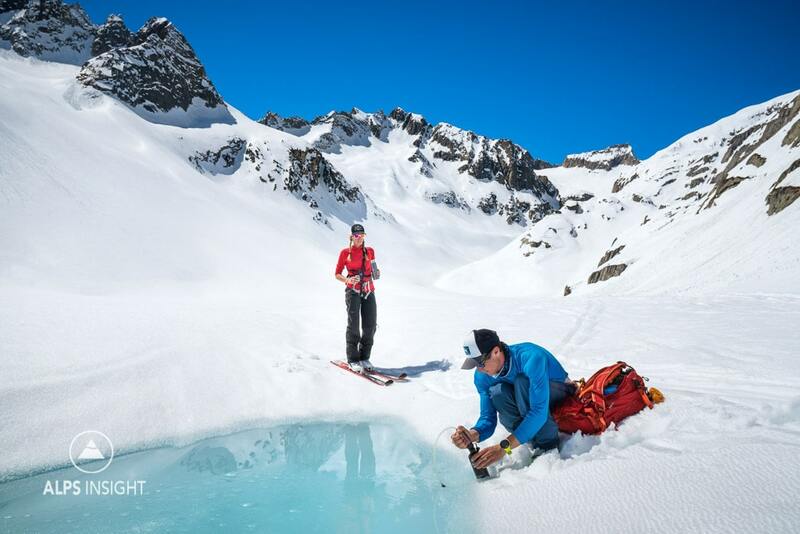 Summer or winter, it’s the same, be self sufficient for your water at Swiss mountain huts. Last fall we had great results using Be Free filters all over the Swiss Alps. Hut keepers even commented positively on our using them. Less plastic, less cost, and fast and easy to use.